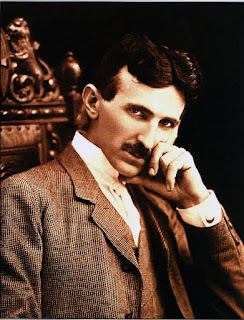 Nicola Tesla, writing of the future of Buffalo in 1893, said: "The energy of Niagara Falls is equal to 5,000,000 or possibly 6,000,000 horse power, while 4,000,000 horse power economically directed, would run all the machinery, drive every steamship, run every railroad, heat and light every store and house in the United States. I believe that it will soon be possible to carry such energy 1,000 miles with slight loss, an that eventually it will be transmitted without any wire. I believe that in thus claiming the waste water power of the world and sending it's energy broadcast, lies the future usefulness of electrical science. No achievement that can be thought of compares with the possibility of emancipating all that army of laborers which now toils in mine and forest to supply the nation with fuel, and the other army that is needed to transport, distribute and use it." The cars of the Buffalo Railway Company began yesterday to move by water-power. 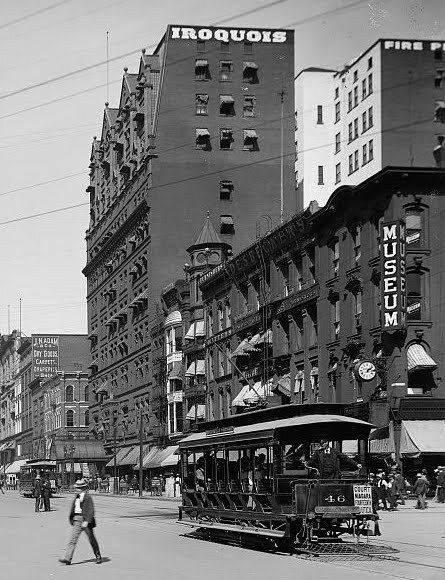 The mighty energy of Niagara Falls, harnessed to turbine wheels, and transmitted over copper wires to Buffalo, supplied the force that turned the wheels of traffic and brought nickels to the coffers of the street car company. The success of the transmission of the power was completely and fully demonstrated. 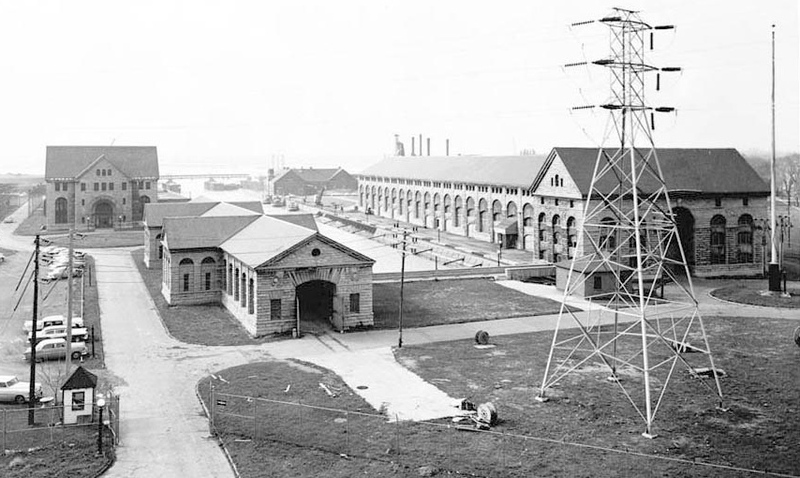 There has not been at any time since the first dynamo began to revolve at the falls, any doubt that the energy could be brought successfully to Buffalo. Never-the-less, the experiment was the greatest ever attempted in conveying such a volume of power to such a distance, and cautious people waited until yesterday, when the first practical application of the power in Buffalo was made, before crowing too much over the new force that is to revolutionize business and bring mills and factories and people to the Electric City. 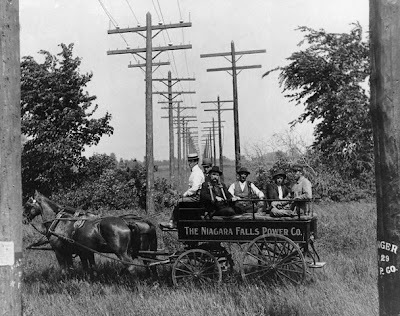 At 10 o'clock in the morning Niagara Falls power was turned on to the system of the Buffalo Railway Company and all the cars on Main Street between Ohio Street and Cold Spring Barns were operated by Niagara Falls Power, also the cars on East Ferry Street and Kensington Ave. The test was made in this part of the city in order that the general public might have an opportunity of observing the test of running the cars by electricity generated at Niagara Falls, conveyed to Buffalo over long distance wires from the power house of the Cataract City. In every respect the test was satisfactory. Motormen had no difficulty in running their cars smoothly and on time. There was no hitch. There were no delays. The experiment was an experiment no longer. It was a complete success. Not many of the thousands of passengers who rode through Main Street, knew the cars which they rode were propelled by power generated 26 miles away, and borrowed from the worlds mightiest cataract. For years the eyes of the whole world were on Niagara Falls and Buffalo. The transportation of power from the mighty cataract to the great city at the foot of the lake was an event that called for the world-wide interest of electricians, scientists and businessmen. It meant the revolutionizing of industry. Today the mighty waters of Niagara revolved the wheels of the street railway system of this city, proving beyond a doubt that the power can travel, that the wheels of factory and of mill can be turned miles away from the cataract by the power generated at Niagara Falls. It is a great day for Buffalo, a day to be made memorable by the successful test of one of the greatest electric feats known to the world. Following the line along the river bank, for a distance of about 26 miles, the electric current travels to Buffalo. Today the people of this city have the opportunity to observe the practical and successful working of the energy generated at Niagara Falls. generate and transmit current by means of Tesla Polyphase System." Electricity in Buffalo is really a "Tale of Two Geniuses". Tesla's story is one of life and the re-birth in many respects of the city of Buffalo. Thomas Edison's own tale on the other hand is one of death as Edison played a darker role with the invention of the electric chair and the execution of Buffalo's own William Kemmler. 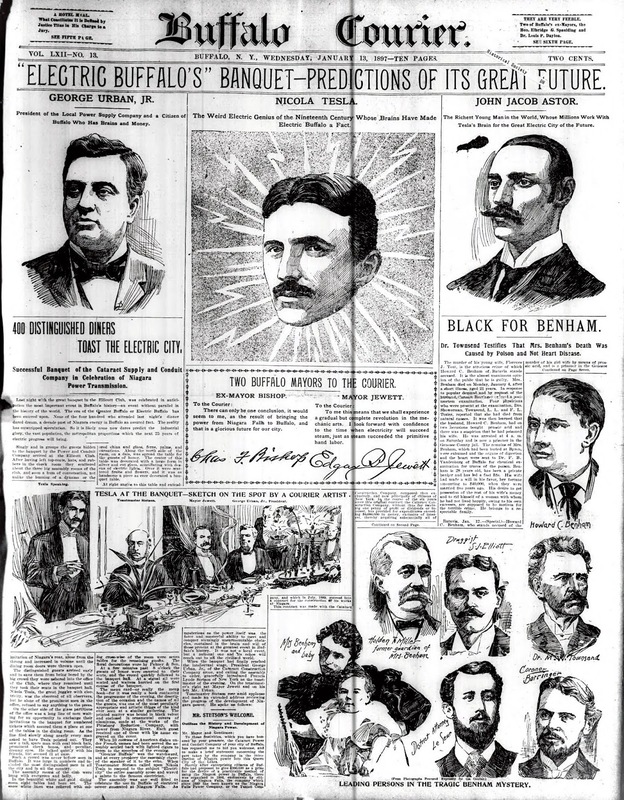 Edison answered the call of dentist, Alfred P. Southwick and New York State in a shrewd yet failed effort to destroy Alternating Current as espoused by Tesla and his financial backer, George Westinghouse. Power to the people, indeed. Why is it called - "MILITARY ROAD"?